While winters last, we all must strive to make the most of seasonal winter green vegetables. One such winter vegetable that is replete with healthful properties is spinach. There is no denying the fact that leafy greens form an intrinsic part of a well-balanced and healthy diet. While winters last, we all must strive to make the most of seasonal winter green vegetables. One such winter vegetable that is replete with healthful properties is spinach. The benefits of spinach are aplenty. According to the book, 'Healing Foods' by DK Publishing House, "Packed with vitamins and minerals, spinach contains more than a dozen different antioxidant flavonoid compounds that have anti-inflammatory properties that protect against heart disease and help to neutralise the free radical that compromise the immune system and are linked to cancer. Its considerable vitamin K content also helps to protect bones." 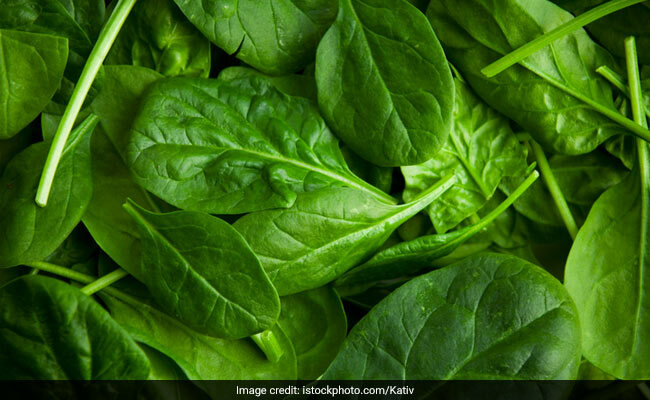 Used in a plethora of Indian delicacies, spinach has a distinct flavour of its own that has the potential to make the culinary experience quite enticing. Add them to smoothies, salads, or curries - spinach is sure to increase the nutritional value of your food. Spinach can serve as a perfect breakfast superfood, if consumed in the form of a smoothie. Adding nuts, avocados and yogurt to the smoothie is an amazing way to enhance its flavours. A lot of people also add spinach in their salad preparations. However, there is a lot of debate around whether eating spinach in its raw form is beneficial or not. If you wish to add spinach to your salads, then make sure it is lightly wilted. It is known that once the spinach is lightly cooked, only then higher levels of iron can be reaped. "While raw spinach is nutritious, cooked spinach is even more so. Its iron content is more available and it provides considerably larger amounts of beta-carotene, lutein, vitamins, and minerals," notes the book 'Healing Foods'. From pastas and raviolis to gnocchi, a lot of Italian dishes have spinach as its main ingredients. Most of them make use of boiled spinach, which not only lends a flavour to the dish, but also increases the dish's nutritional count. Boiling spinach for just 1-2 minutes could maximise its health benefits to a great extent. So, the next time you plan to make pesto sauce for your pasta, replace the basil with spinach instead and give it a nutritional boost. Here are some delectable spinach recipes that you can try at home.